this famous explanation of Beauty, explained in The Book of Tea, is one of central ideas of Mr Yukito Nishinaka´s work. Inspired by Zen wisdom he implements the Japanese ability of transforming “Worthless into Valuable”. 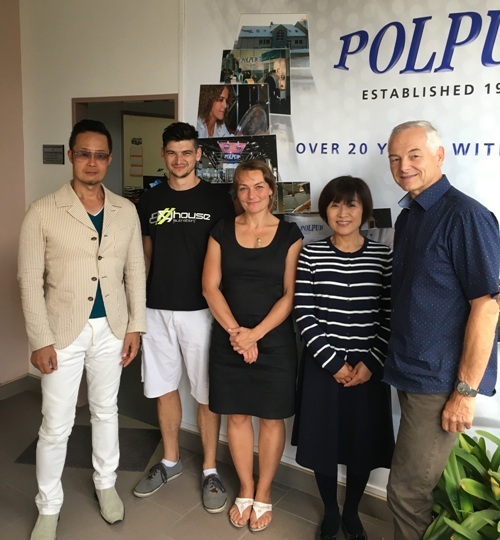 Yesterday we had the pleasure to welcome Mr Nishinaka and his wife in our premises. We were glad to meet personally this glass artist, who is also our sales representative in Japan. Mr Nishinaka was astonished by glass beauty by chance, while traveling. This encounter changed his life, literally from day to day. "Energy of life" touched him from various shapes, forms and colours of glass, as "life-form glowing lights", and he suddenly desired to pass it further. The combination of skills gained later on at California College of the Arts together with the japanese sensitivity creates unique masterpieces, which can be admired in galleries all over the world.